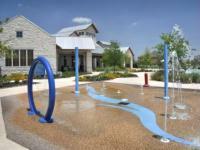 Towne Lake - A Caldwell Community | Real Estate/Development - Template2 | Cy-Fair Houston | Chamber of Commerce ? Towne Lake is a Northwest Houston community located in the heart of the Cypress-Fairbanks area centered on a recreational lake, amid the natural beauty of Texas Hill Country landscaping. Ski, sail, fish or hop in your boat to visit your neighbors! Relax right on the edge and drink it all in ? Towne Lake is the very essence of lake living. Take 290W, exit Barker Cypress, & turn left. Continue 2 miles to Tuckerton Rd, and turn right. Follow Tuckerton over the bridge & turn left on Hamilton Hills. Turn left on San Saba Creek Circle.